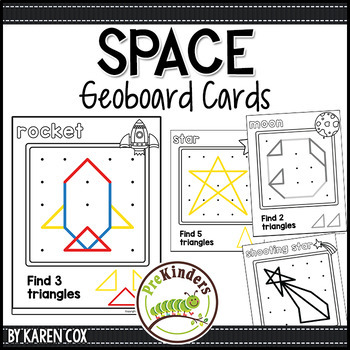 These Space Geoboard Cards make a great addition to your Math Center for students to practice shapes! 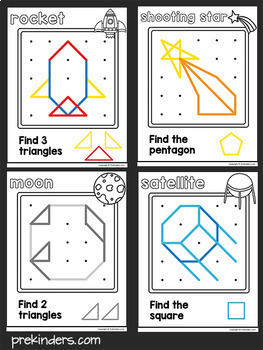 Children will choose a card and copy the design on their Geoboard. Each card also has a direction to find a shape in their design. 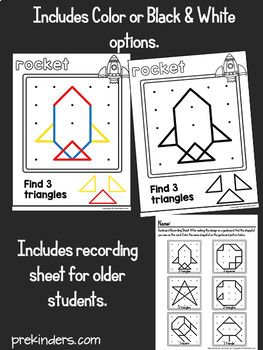 For example, the rocket card design says "Find 3 triangles." 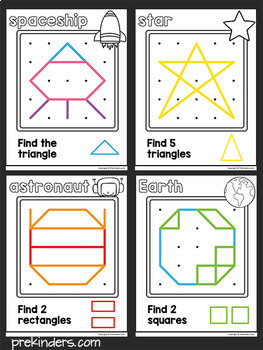 There are 10 Space Geoboard cards included, each comes in Color and Black & White options.